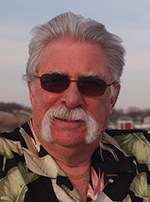 Tom Whitby has presented at many national, statewide, and local education conferences as well as Edcamps. He has contributed to the WISE Conference in Doha, Qatar, an International Education Conference, for the last two years. He served as a social media consultant for SmartBrief and a contributing Editor for SmartBlog on Education for SmartBrief. Tom is a retired Adjunct Professor of Education at St Joseph’s College in New York, having taught for 6 years. He came to that position after 34 years as a secondary English teacher in the Public School system. He was also a leader in the New York State United Teacher Locals for 30 years. He has founded a number of Educational Groups on Linkedin including Technology Using Professors Group. He has been recognized with an Edublog Award for the most Influential Educational Twitter Series, Edchat, which he founded. Additionally, Tom hosts The Edchat Radio Show for the BAM Network, which is available as free podcasts from K-12 education at the Apple iStore. He blogs at My Island View and has contributed articles to several education journals and has been a guest blogger with contributions to The Royal Treatment and Teacher’s Reboot Camp. He created the Ning site, The Educator’s PLN: http://edupln.ning.com/. Follow him on Twitter @tomwhitby.